Fall season approaches, and with it comes a new wave of anime. More titles than you can sample or even be bothered to look up. Synopsis have betrayed you many times, hammering the point that an interesting premise or even adapting existing solid work isn’t necessarily enough. You would rather know where are the talented directors supported by robust teams, the confluences of those intriguing ideas with staff and environments that will allow them to flourish. Thankfully, we are here to provide that very specific service! Kevin: Season previews, especially something like this that focuses on craft, are all about gauging risk; with enough knowledge about the industry you can pinpoint projects bursting with talent, but you also have to consider how likely it is that the staff will be able to properly develop their fascinating plans. Ideally we would have an industry where gifted artists – moreso when working with interesting source material – would be enough to almost ensure a project’s success, but the TV anime reality is far from that. Within this uncertain landscape where every production has an inherent risk, a title like Euphonium 2 stands out. Short of a black hole suddenly swallowing both Kyoto and Osaka, the show will end up being a lovingly crafted package. Returning staff working on a sequel within the one studio divorced from anime’s production madness is as sure as an anime bet can get. You knew this show would be listed here and have probably scrolled down already if you don’t care or are only looking for surprises to be unveiled. Getting more into specifics though, I would expect something similar to the first season on many levels: an increasingly better produced series as staff tied to the previous project become available, photography work that puts most anime movies to shame, obscenely detailed 2D mechanical drawings, and relatively stiff character animation – at least during the first episodes, and obviously judging by the studio’s ridiculous standards in this regard. 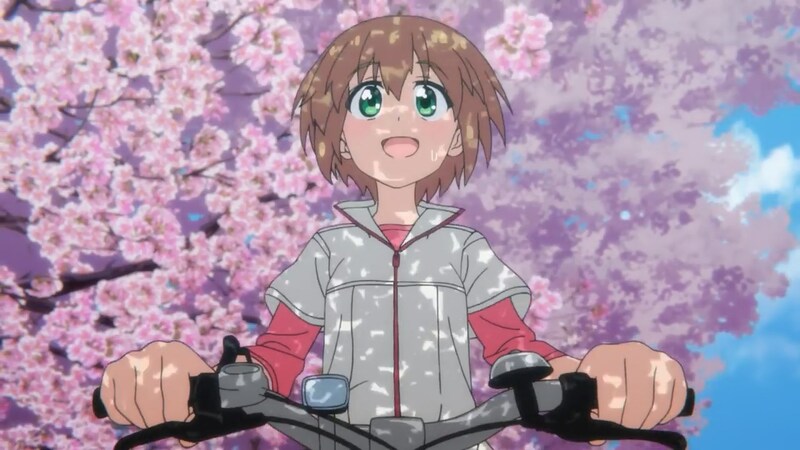 KyoAni’s directors know how to frame the little everyday scenes to sell characters through elements like body language, and while lavish animation isn’t entirely required for that, rich character motion always helps a lot. Euphonium S1’s beginning was rather static, and I feel like we will see the same again; starting with a 1 hour special episode coming right off a high profile movie isn’t ideal, but we know for a fact that they finished that early so the show should recover after a few episodes. And again – I’m only bringing up the circumstances preventing it from being perfect! Naoko Yamada promised the studio won’t be cutting any corners with the project, and her presumed fewer contributions should be well covered by the likes of Yasuhiro Takemoto and the studio’s rising star Haruka Fujita having more prominent roles. Hiroyuki Takahashi will continue supervising the painfully detailed instruments, and judging by the recap movie’s new segments he might have become and actual mechanical being in real life. Chances are that this will get individual coverage like Mob Psycho last season, so look forward to more in-depth blabbering! Liborek: Every once in a while, a tremendously gifted creator gets a chance to debut as series director. It’s usually a situation that animation fans familiar with them rejoice about, as it provides an opportunity for them to make their name known and craft something on their own. Considering how things usually pan out though, the more freedom the creator gets, the less likely the show is to become a commercial success – that’s the issue with passion projects, they tend to be very personal ventures that most viewers don’t resonate with. But quite frankly – as long as it’s what the creator intended to make, it’s fine. Often a shame, but commercial success doesn’t determine quality after all! 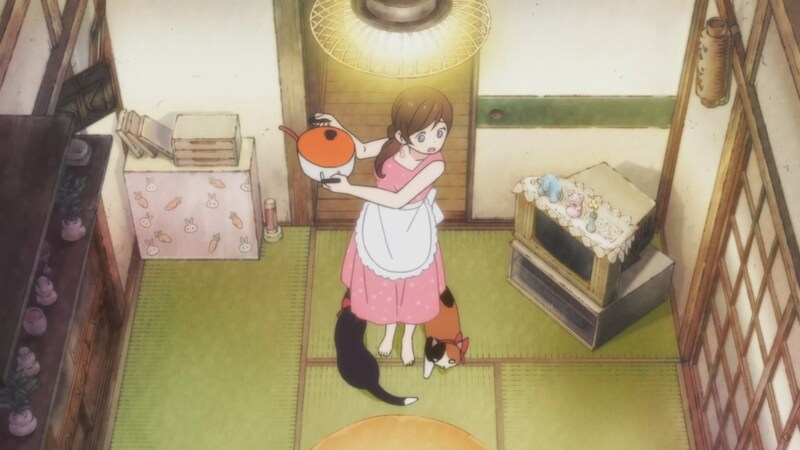 The creator here is Kiyotaka Oshiyama – an animator known for working on various Ghibli films, Dennou Coil and FMA:Milos – who ventured into directing. His first directing gig was on Space Dandy where he wrote, directed and animated episode 18 by all himself. Being one of the best episodes of a show overflowing with some of the finest talent this industry can offer, you know we’re talking about somebody special. 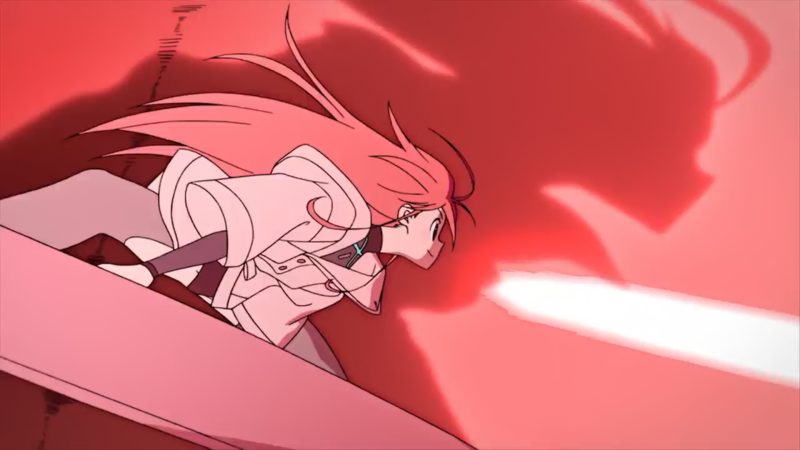 I’m excited to see more, and while Flip Flappers doesn’t seem to be written by him, he seems to be storyboarding good chunk if not all of the show. I’m sure his creative voice will be heard. Supporting Oshiyama is the character designer and chief animation director Takashi Kojima – his debut in both roles. Kojima is a great animator who most of you have probably already heard about. He was the main animator on From the New World (2012) and Mob Psycho 100 director’s Death Parade (2015). His most outstanding work however might be Your Lie in April’s episode 5, which he animated all by himself and offers a non-stop display of refined character acting animation. And of course, Studio Pablo will be at their strongest to handle the background art! Reports from the prescreening also revealed some of the staff that was involved in the first three episodes; Rolling Girls’ character designer Katsuhiko Kitada seems to be working on the show regularly. Young talents Shun Enokido, Toshi Sada, Tatsuya Miki and Hakuyu Go were also supposedly spotted in the credits. And Episode 1 featured a one-time appearance of top animators Kenichi Yoshida and Toshiyuki Inoue! Looks like there’s a lot to look forward to with this show, and I’m looking forward to covering it weekly here on the Sakuga Blog! Kevin: As you may have already noticed, this time we have split the workload by alternating writers through this preview. 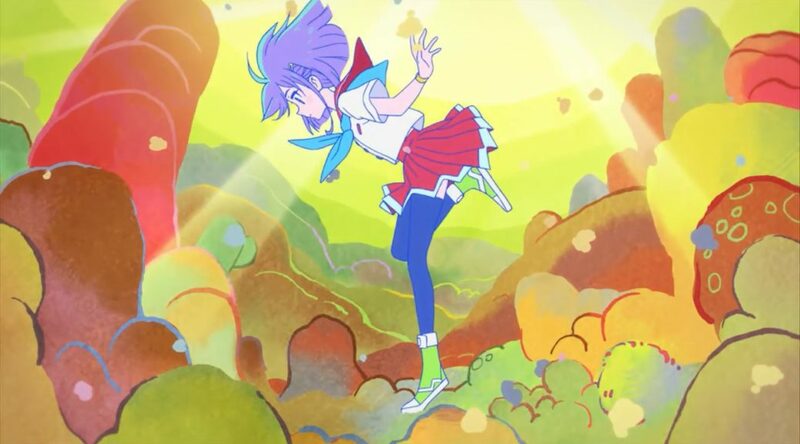 Meaning I don’t have to write about Flip Flappers, but I can’t stop myself from mentioning that this is one of the most exciting original anime projects in ages. The industry is freaking out about it, and so should you. Kevin: March Comes in like a Lion is an exceptional project on many levels. Fans dreamed of an adaptation on Fuji TV’s noitaminA for a long time, as a spiritual successor of the beloved Honey & Clover anime. It was quite the surprise to see it end up on a major network after all, just not the one that seemed to make the most sense; it will instead air on NHK’s general channel, which immediately makes it a bigger deal than most TV anime. There’s some misinformation in this regard, since it’s not quite a mainstream broadcast after all as it will be airing at 11pm, but it’s undeniable that this is no regular latenight series. And the project only becomes more interesting after this point! As per Chica Umino’s direct request, the show will be directed by Akiyuki Shinbo at SHAFT. I have written before about the way the studio operates and Shinbo’s actual role so I will spare you the long explanation, but this would be the very first time he directs a show all by himself at the studio – and I say would for a reason, since it still isn’t clear if he’s handling the series direction all by himself. Looking at the promotional videos I wouldn’t be surprised if they were hiding Naoyuki Tatsuwa’s name, since he’s very fond of that undeniably SHAFT but still restrained approach. Either way, whether he has an assistant/supervisor or not (he does, of course), it seems like this might be his return to more hands-on work. Shinbo rarely draws storyboards himself anymore, so I would love for him to take this chance to do it again. Directional conundrums aside, the series is plenty interesting in and of itself. Umino’s distinct brand of character drama, framed through shogi this time, might seem unsuited for the staff at first. The more they have shown though, the more obvious it seems that the studio’s over-reliance on tired gimmicks won’t be a hindrance this time; isolating idiosyncrasies, stripping them of context and turning them into mass-produced tricks has been the most damaging trend at the studio, so I’m glad it doesn’t seem to affect this project – perhaps because going overboard could have had an obvious alienating affect with the more mainstream audience they are chasing, but good news either way. As far as I’m concerned though, the person stealing the show so far – OK, it hasn’t even started yet but you know what I mean – has been Seiki Tamura. 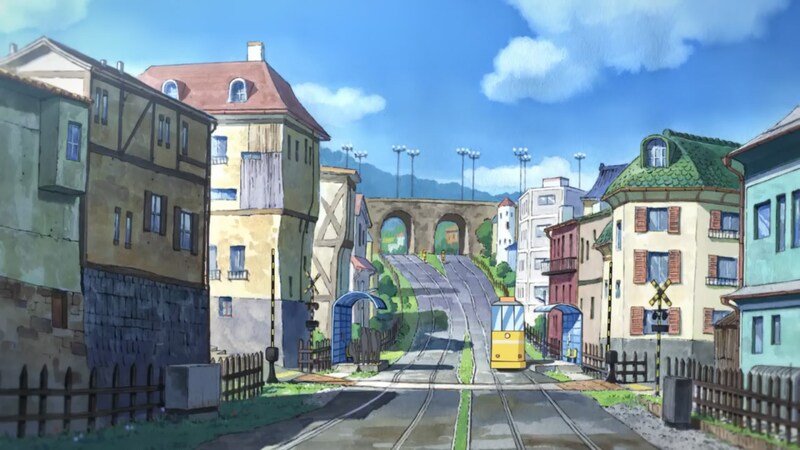 An art director that KyoAni fans should be aware of because of his relationship with the studio, and who has also been behind other series with striking background art like Rolling Girls. Save for a few early shots where the colors are a bit too muted for my liking, the backgrounds are already looking delightful; the beautiful environments obviously stand out, but I’m also looking forward to seeing more of the Kawamoto’s house since they seem to have nailed the feeling of a place inhabited by a warm family, which is integral to the series. So far it looks like the animation might be above average as well, but with SHAFT being as busy as they are and their notorious management woes I wouldn’t bet on that lasting for 22 episodes. Having it not fall apart is all I’ll ask for, since it could be a very sweet show. Liborek: Sayo Yamamoto is a director that I would call interesting. As a director for opening and ending sequences, she’s fantastic. As a TV anime director, she has a record of creating shows that were interesting, but not neccessarily good. Does that mean she’s not a fantastic director? Hell no! Even when diverse factors didn’t quite manage to work, you could feel a fascinating mind behind the series. As a director influenced by Shinichiro Watanabe, she tends to create shows that differ from the norm. Be it the South America-flavored Michiko & Hatchin or the totally not Lupin-like Lupin III: The Woman Called Fujiko Mine, she created works that were different from contemporary TV anime. And this seems to be the case with Yuri!! on ICE as well. While sports anime are still as popular as ever, figure skating is certainly not among the most famous sports out there. Following MAPPA’s tradition of collaborating with non-anime script writers, Mitsuro Kubo co-created the show’s concept. The retired figure skater Kenji Miyamoto is working on the show as choreographer, a role he’s very familiar with since he assists professional olympic champions. And last but not least, PIANO is producing the show’s background music. What a lineup! 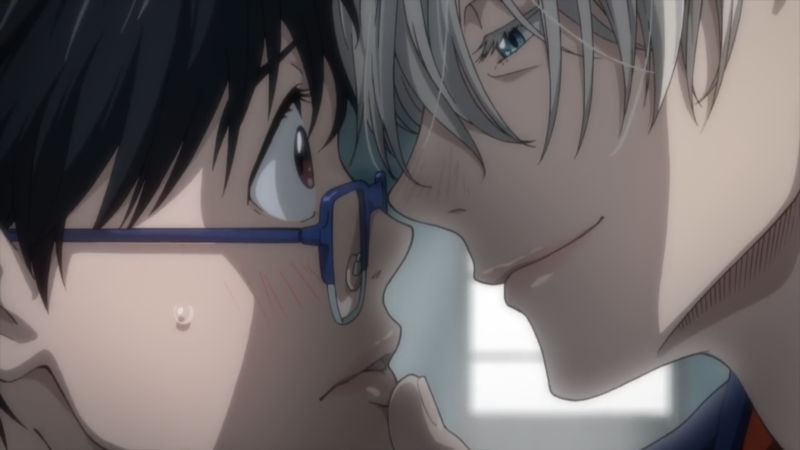 Yamamoto already created a wonderful ice skating music video for Japan Animator Expo. As I wrote earlier, she’s a fantastic director for opening and ending sequences, which are essentially music videos. Now it’s her time to prove she can create a great show on the same concept! Her long time collaborator and famous animator Tadashi Hiramatsu is working on the show as character designer and chief animation director; Hiramatsu is friends with many of Japan’s top animators, so I’m not afraid to say we’ll see some very interesting names pop up here and there! I’m sure the ice skating scenes will be a delight to watch and the show will overall have very high production values. I can say quite confidently that Yuri!!! is the show I’m the most interested in this season. Kevin: A show that was understandably outside my radar until last month. Eventually the appeal of by the creators of Steins;Gate wears off, especially if you’re aware that it’s not really true and that Chiyomaru is more of a businessman than an interesting creator. I happened to come across Occultic;Nine during a livestream where they planned to announce the staff and show the first pieces of footage; it was causing some buzz among animators I follow, which is always a sign that something interesting is about to happen. And it did! The series was going to be handled by some of the most interesting new staff affiliated with A-1 Pictures – not necessarily the youngest generation of artists, but up-and-coming names that started a few years ago and most people aren’t acquainted with yet. The director Kyouhei Ishiguro only debuted as a series supervisor a couple years ago after beginning to handle episodes in 2009, but it was precisely his debut work that started to turn heads; KimiUso was far from perfect, and his reinterpretation turned out to be fairly polarizing, but it’s such a confident way to start a career. To adapt a series with teenagers that speak with awkward poetry, he spat at the very concept of subtlety and made it all as grandiose as possible. It helped that he was assisted by some notable creators, including the Masashi Ishihama/Takashi Kojima duo behind the fantastic episode 5 we already mentioned in this preview. He wasn’t quite so lucky in his following project, but this time it feels like he’s back with a strong team. The animation in the PV is rather spectacular, due to the lively motion and rather particular lineart, though obviously the element that stood out the most was the absolutely ridiculous breast physics of that one girl. It always a bit of a shame to see the framing fully embrace that since it inherently alienates many people, but it otherwise seems well directed and makes me look forward to seeing what Ishiguro can do with horror material. The animation itself will have Tomoaki Takase at helm, a good sign for what’s to come; he’s a rather young animator who has regularly showed up in A-1’s strongest productions over the last 5 years, as well as notable projects like Yozakura Quartet and even theatrical level works like Wolf Children, Boruto and Animator Expo. Ishiguro clearly trusts him since he animated about half of KimiUso’s second episode all by himself, and it seems like he’ll have the support of other expressive character animators as people like Isao Hayashi have already confirmed their presence. The series is a bit of an enigma still, but it definitely has the staff to make it stand out! Liborek: What new can I say about an anime that has already aired 50 episodes? Anyone who has watched Haikyu knows how delicately animated it is. Good looking character designs in the hands of consistent chief animation directors (though S2 was much stronger than S1 in this regard), fluidly animated volleyball matches supervised by people like Yasuyuki Kai and Hideki Takahashi, moments of outstanding character animation that portray momentum and force like very few TV anime aspire to, and strong direction of Susumu Mitsunaka – at its best, very few sports series can compete with the tension he creates in Haikyuu’s matches. It’s highly unlikely the quality will drop in this season as it’s only going to be 10 episodes, supposedly covering one of the most exciting parts of the manga. I think we can expect this season to possibly even top the previous two! Kevin: Tatsuya Yoshihara has become a recurring name on this site, which is understandable as he’s the leader of sorts of a certain clique of talented digital artists. This time he’s ditching the hectic style of his last few projects and instead focusing on something more atmospheric and relaxed. 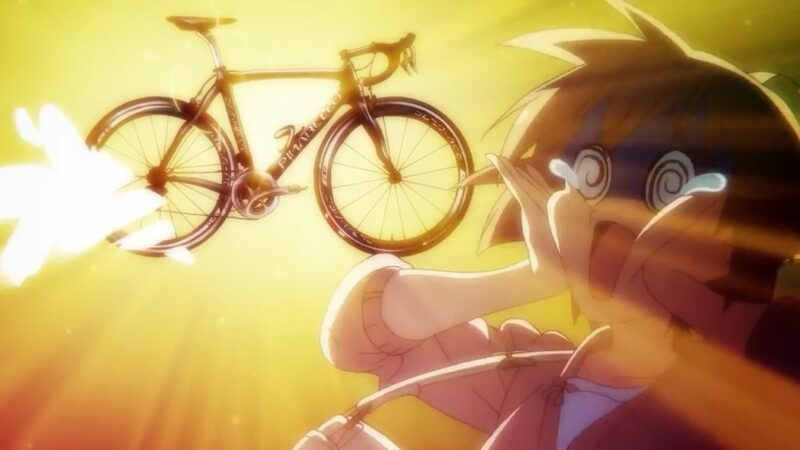 And that affects the animation as well – his presence became synonymous with over the top action, even in shows like Monster Musume, but the Long Riders! PV is instead all about the character acting; it’s not on the realistic side, since even his lowkey works retain some amusing exaggeration, but it seems very expressive. Some of the most talented animators he tends to work with might be busy this time – Ryuu Nakayama just finished his exhausting Macross marathon, and Takahito Sakazume/Shun Enokido are in high demand lately as well – but the series feels like it won’t require top animators like that to regularly show up. Yoshihara’s solid fundamentals and his neverending list of young talent acquaintances should be enough to turn this into a nice little series. Nothing mind-boggling, but a pleasant time watching a group of friends ride 2D (!) bikes. Liborek: There isn’t much I can say about Bungo Stray Dogs in regards to its animation quality – its drawings are very consistent but the highlights are very few and far between. The reason I’m briefly mentioning the show here is simple: Takuya Igarashi. A director who’s very capable of creating visually appealing and creatively staged shots. I dumped some of them on my twitter account when S1 was airing and I’m planning to continue with S2 as well. Kevin: When people try to downplay the importance of execution in anime, their arguments tend to come down to it’s just animation! A fallacy on many ways, particularly so since consistent rich animation very rarely exists in isolation; if a show is lucky enough to have plenty of talented key animators it’s likely because they were attracted by an interesting director, and the fact that you can appreciate high quality cuts to begin with means someone was competent enough to board and frame them properly. The reason I’m bringing this up though, is because Izetta might be that strawman case of stellar animation existing in an otherwise complete mess. The director Masaya Fujimori spent many years in the industry until his director debut on the rather unknown but excellent You are Umasou film. I’m afraid that his presence won’t be enough to offset the fact that this is an original anime written by Hiroyuki Yoshino however, hence the pessimism. If I were to ignore that detail that might doom the entire project, I would rejoice over Yuu Yamashita being the character designer; he might have the biggest following amongst Naruto fans, but he’s actually been in many of the animator-magnet projects during the 00s. He’s even Koji Masunari’s buddy, so this could be the project that motivates him to come back to anime after idolmaster. And the animation party doesn’t end there! Satoshi Shigeta has been rocking detailed effects and debris on robot anime since the 80s, and he’ll be in charge of the mechanical animation here. And of course, the one and only Tetsuya Takeuchi will be its action animation director – the most exciting piece of information here, despite not even knowing what the show’s action will entail. He very recently worked with Yamashita on the second season of SAO, so it’s easy to see how the staff was put together. It’s a weird feeling to have to tell myself to contain my excitement over talented fellows on so many fields exclusively because of one person, who happens to be the most dangerous writer in the whole industry. Let’s hope this is more Fujimori’s project so that it doesn’t immediately sink! Ryan: You may have noticed that we’ve been hyping up shorts over the past couple of weeks, so it’s only appropriate that we keep the trend going here. Shin Itagaki has a brief respite from the abyss known as Berserk, so he’ll be back to his usual insane antics in yet another season of Teekyuu. Also making its return is Mahoii, which’ll no doubt be another gathering of Kazuaki Shimada‘s Yamasusu crew. Unlike the first season however, neither Shimada nor his mentor Yuusuke Matsuo will be tied down by Dereani, so it’s entirely possible that we’ll see a huge visual upgrade much like we did between Yamasusu S1 and s2. Not guaranteed of course, but it’s always nice to dream! Speaking of the Yamasusu crew, Noriyuki Imaoka‘s Kiitarou Shounen will be airing right before Mahoii every Wednesday, making it the definitive block for young animators to shitpost display their skills. We’ve yet to see well…anything from the show really, but there’s no doubt he’ll bring his talented friends along for the ride. I would say and that’s it, but not quite. There are other projects featuring notable artists who are worth keeping an eye on; dubious consistency aside, Hiroyuki Aoyama‘s character animation on The Great Passage will offer some outstanding yet quiet scenes. Dogakobo’s take on Touken Ranbu won’t be an amazing production either, but some of the PVs had lovely bits of loose animation. Tiger Mask W is going to combine some oldschool Toei talent with 3DCG experimentation, Yutaka Kamogawa is sure to draw beatiful FX on Cheating Craft, Gundam IBO S2 will have to rely on Sunrise St3’s remaining aces like Sakiko Uda, and even Pokemon‘s latest reboot seems very animation-friendly, bringing the franchise closer to full digital animation. We decided to choose the projects that seemed most likely to be consistently well crafted though, so let’s leave those as a short list of mentions! Has there been any indication who’s doing the scriptwriting for Flip Flappers? Ayana Yuniko was credited for the script and ‘story concept’ for the first three episodes, that’s all we know for sure. I pray the show is coherent and fun to watch. Come join the Iso hype crew so we can all be disappointed together when the time comes. My fantasy is alive for now. Loved the hint, btw. Haikyu! !’s preview links to a full ep of Macross instead. Appreciate these previews otherwise, though! I’m very interested in most of these, except for Haikyuu because I still haven’t watched any of it, nor Bungo Stray Dogs because writing-wise I’m not really interested. Shuumatsu no Izetta souds…iffy, I wouldn’t get my hopes up for it. As for Occultic;Nine, I have a weird relationship with these titles, lots of people agree that they are awesome but I should properly watch more of its shows. Long Riders seemed interesting, but that’s actually my wild card if I drop anything along the way. Can you give me a source for Atsushi Shigeta working on Izetta? Sure, it’s in the official site… except that’s been deleted?! http://izetta.jp/staff.html You can still see Shigeta’s name on wikipedia (though it’s Satoshi instead? great FX/mecha animator either way), but I wonder exactly what happened. Takeuchi only ended up in SAO S2 after someone else was removed from the staff list and never mentioned again so this might be an inherited curse.